“This week is Challenge Poverty Week, an annual Scotland-wide campaign designed to raise a voice against poverty in Scotland and challenge stereotypes, while encouraging public support for more action to solve it. It also offers politicians, organisations and campaigners the chance to discuss in more depth how, as a society, we can work together to tackle the persistent social inequalities that impact the lives of so many people across Scotland. “At Aberlour, we work with vulnerable children and families across Scotland every single day. This could be as a result of poor mental health, low educational attainment, children at risk of being taken into care or issues around dependency. So often there is one recurring, and near universal, theme in the lives of these children and young people – poverty. “Today, more than one in four children and young people in Scotland live in poverty. They are suffering extreme hardship and often lack access to even the most basic necessities such as warm clothes and bedding. In a wealthy country like Scotland, this statistic should shame us all. “The effects of poverty and the impact it has on so many children and young people is profound. Aberlour’s Urgent Assistance Fund provides cash grants to assist children and young people across Scotland who are in urgent need of help. It acts as one of the last remaining safety nets for the most vulnerable in society. “In the last 12 months, the number of applications to the fund has increased by over 80%, and we’ve given out double the amount of money than in the 12 months prior. The themes captured in the applications for financial assistance are wide ranging, and can be anything from mental health issues, domestic abuse, or substance abuse by a parent or guardian. To understand the impact of poverty for these children and families is to know that poverty cannot only be measured in financial terms, but also represents a poverty of ambition, opportunity, skills and encouragement. “Take 15-year-old Liam* for example, who lives in Glasgow. He was affected by parental alcohol misuse and also by domestic abuse during his early childhood. He suffers from ADHD and has grown up in and out of foster care. Most recently, his relationship with his mother broke down and he had to move in with his friend’s family, who were required to look after Liam with no financial support until he turned 16. After that, it was highly likely he would become homeless. “Thankfully, Aberlour was able to step in and provide financial support through our Urgent Assistance Fund. We were able to give Liam money to buy new clothes and help him contribute to the family’s expenses. We’re now also helping him find a job, and Liam is delighted that he will be able to wear his new clothes to interviews. “While assistance at this crisis stage was vital for Liam – and is vital for countless other children and young people across Scotland – it is crucial that as a society we do more to stop children and young people falling into poverty in the first place. “To eradicate, or even alleviate, poverty is no simple task and there is no quick solution. It will require focus, coordination and leadership from the Scottish Government, working in partnership with local authorities and all and any other agencies that are there to help and support families living in poverty and experiencing inequality. 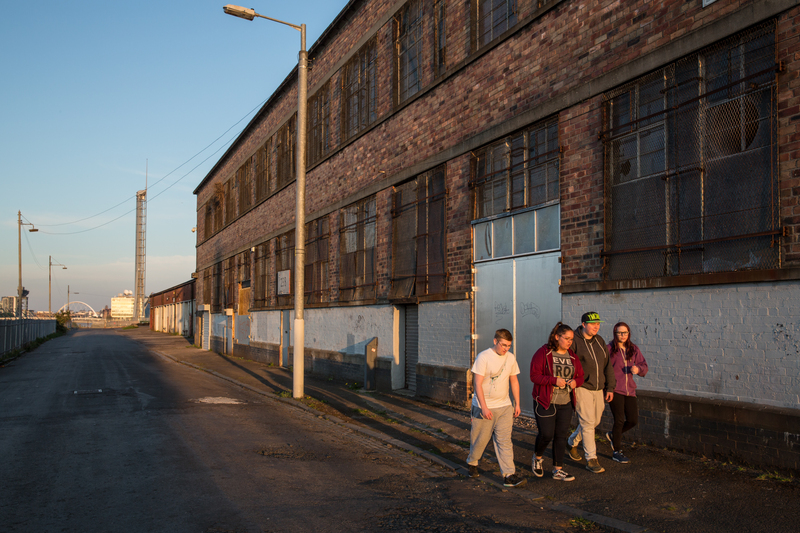 The Scottish Government has outlined their ambition to eradicate child poverty by 2030, and they have introduced legislation that they hope will help achieve this. However, it will take more than worthy rhetoric and legislation to “fix” poverty. We need income and resource maximisation for families and households, well-designed and sustainable homes for families with low incomes to live in, a just and humane welfare system and a proper universal living wage which increases with the cost of living – after all two thirds of families living in poverty are in working households. Only when we begin to implement such policies will we begin to improve the life chances of children growing up in poverty.